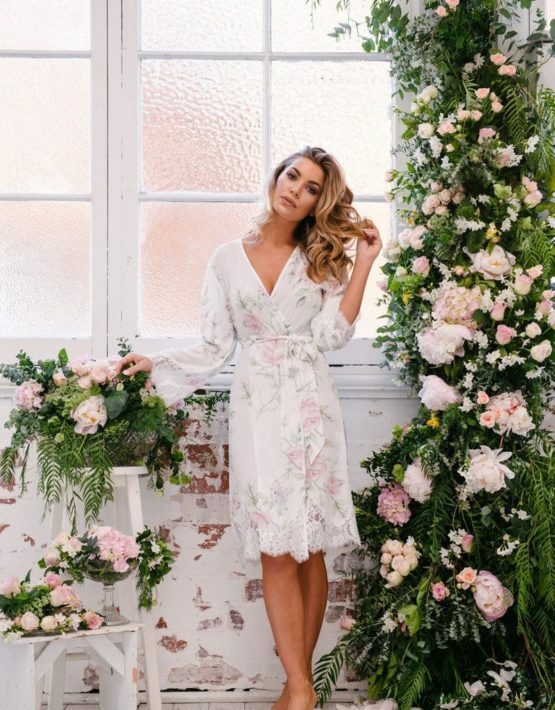 Sofia Floral Lace Robe by Homebodii. Feel extra feminine in the floral printed Sofia Lace Robe. This beautiful floral design is printed on sheer chiffon fabric, and trimmed with delicate lace. Exude elegance and femininity when you wear this knee length robe. With a belt and hidden ties on the inside for ease of wear. 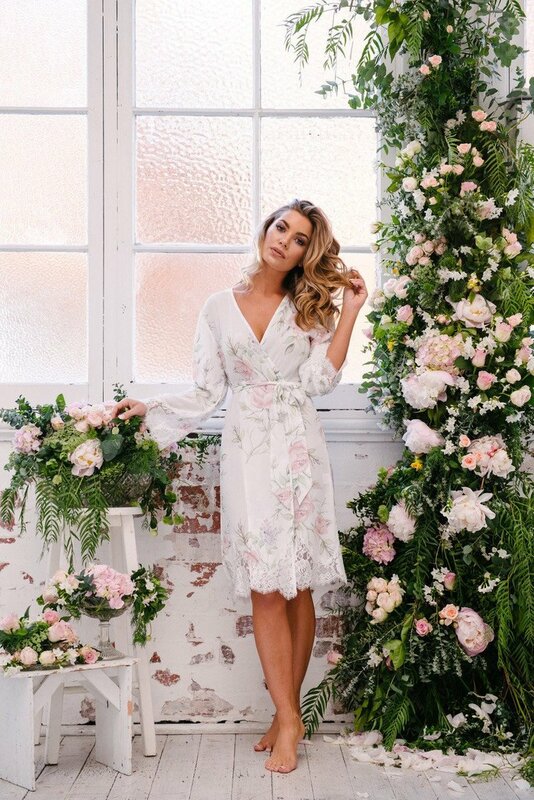 The Sofia Lace Robe Co-ordinates beautifully with both The Lucy Robe and Elegant Bride Robe. The model is wearing a size small robe. She usually takes a size small/AU8, is 5’7” (170cm) tall and has a 64cm waist.